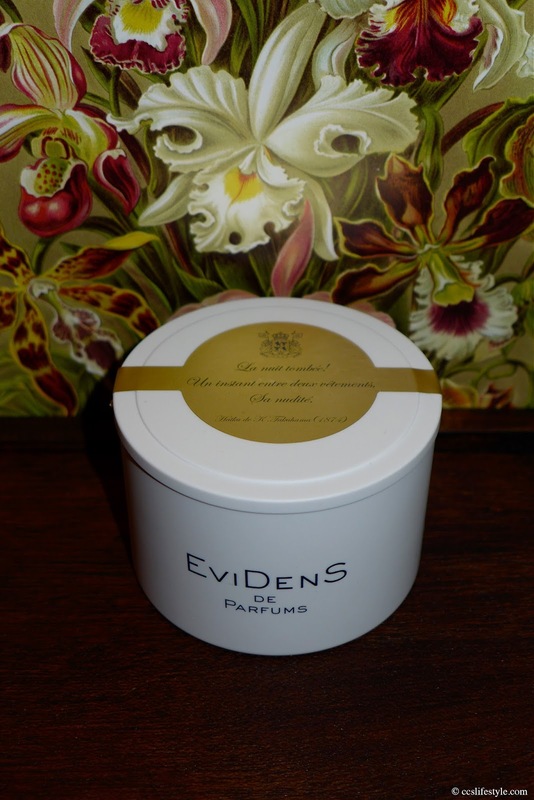 Only recently we have found out about the fantastic candles of EVIDENS de Beauté, just in time for the colder and shorter days. 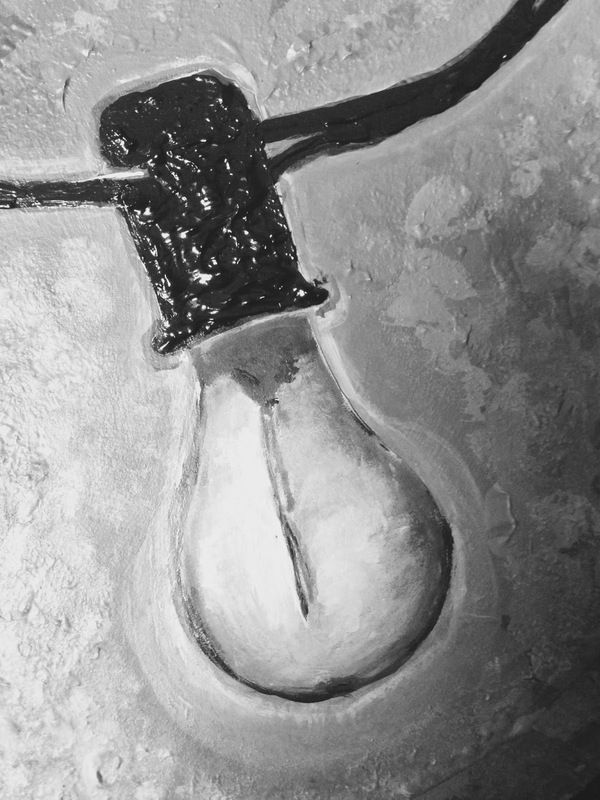 What we love is that the candle is made from only natural ingredients, with vegetable wax, rice- soy- and coconut oil and a pure cotton candlewick. The candle is available in the scents jardins de grasse, oriental absolu and yuzu impérial. We have the candle oriental absolu and we love the scent. It scents from amber, labdanum, patchouli, tonka bean and vanilla and all these scents chime together perfectly, adding up to a soft, powdery and captivating scent. Also the packaging is very beautiful, simple but still precious (with a royal touch) it is also very decorative when it's not lighted. For these reasons we have chosen the candle oriental absolu as our product of the month November, because there is nothing more beautiful than a candle with a magnificent odour and a warming light on a dark November evening. We have used our Filabé wipes (essential care and skin clear) for more than four weeks now and are very satisfied with the result. At first we could not imagine to only use the wipes and it was unfamiliar to "only" use a Filabé wipe and don't use any other product afterwards, but after a few days, our skin got used to the new type of care and felt very soft and clear. 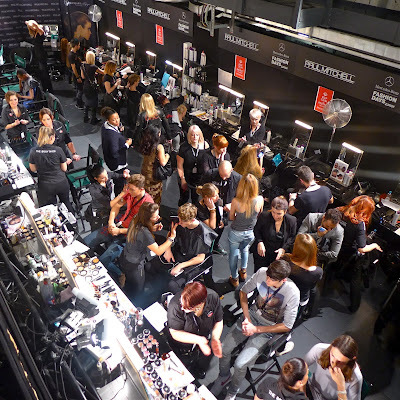 We were very strict and used only the Filabé wipes in the evening, even to remove the eye make-up. After four weeks our skin is balanced and smooth and looks and feels healthy and purified. 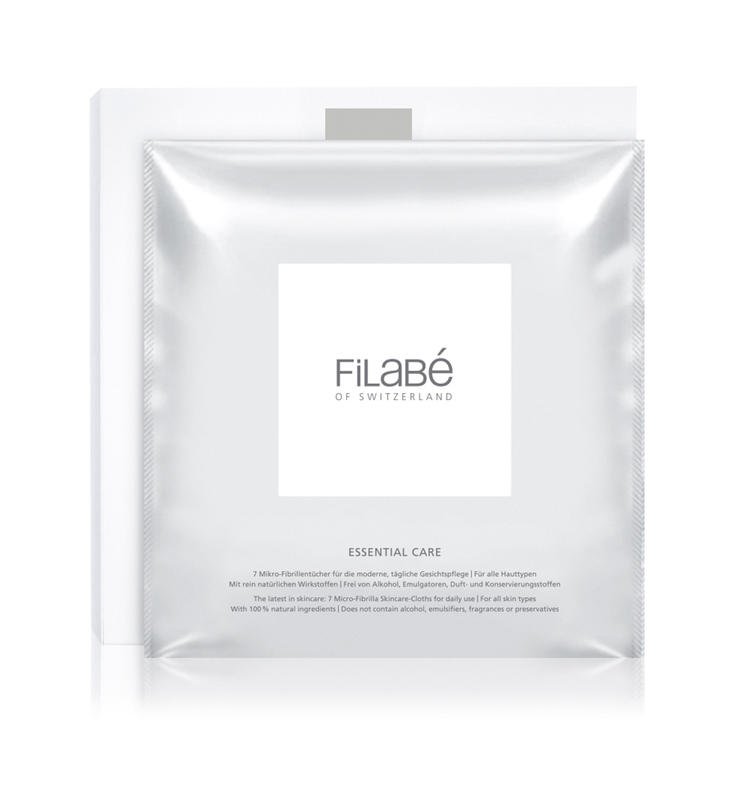 After four weeks of using the Filabé Essential Care, our skin is very soft and pure and looks and feels healthy. 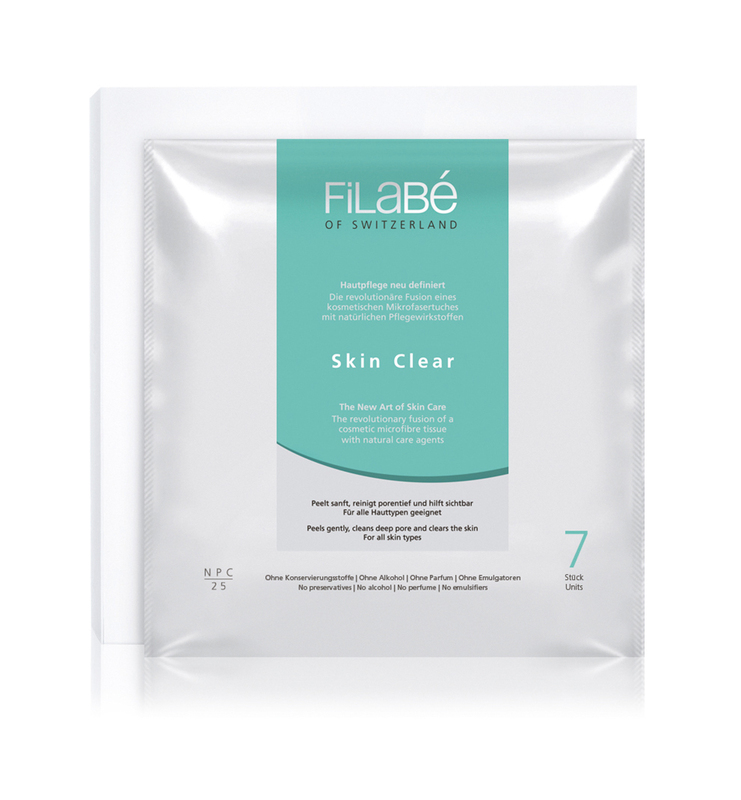 After four weeks of using the Filabé Skin Clear, our skin is very clear and does have no imperfections. For us the Filabé Skin Care products are a great alternative to the use of many different skin care products in the evening, which is also an advantage when traveling. With the Filabé wipes you have all the positive effects in one product, which of course also has a positive side effect on the amount of waste and therefore the environment. What we also like very much is the surface of the wipes, they are very soft but still with a slight peeling effect and leave the skin purified and fresh. For us the Filabé microfibril wipes are definitely a great innovation in the field of skin care. For more information on Filabé of Switzerland and the complete range of products visit the official website. 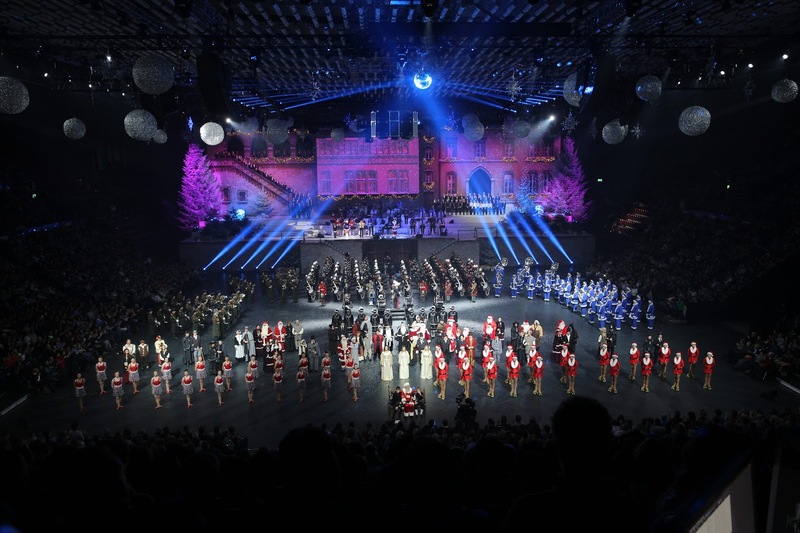 This years Christmas Tattoo in Basel takes place from the 10th to the 13th december 2014. As last year the Christmas Tattoo will amaze us with a beautiful christmas story and amazing acts from all around the world, such as the brilliant a-capella vocal act A-Live from Switzerland and la fanfare du 27eme Bataillon de Chasseurs Alpins from France. Of course there are also the typical tattoo formations like the Band of HM Royal Marines from Great Britain and the Massed Pipes & Drums or Highland Dancers. The Christmas Tattoo is a breathtaking combination of music, dance and performance and we can't wait to see the show! It will be the perfect warm-up for the upcoming christmas time. 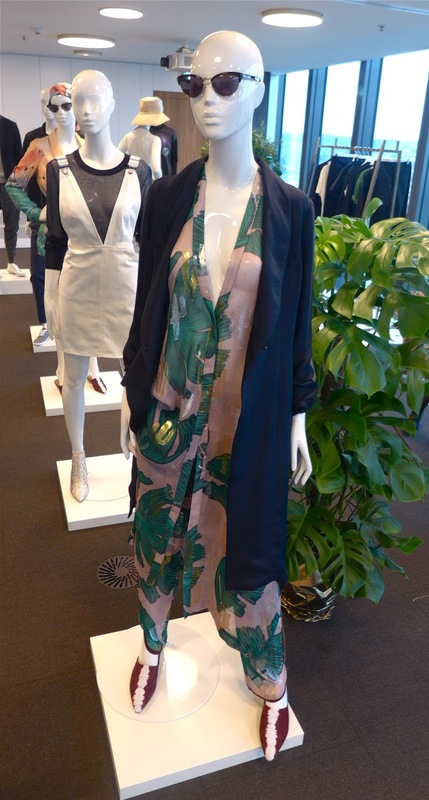 .. thank you for the (paper) flowers ..
We got a first look at the H&M Studio S/S 15 collection. 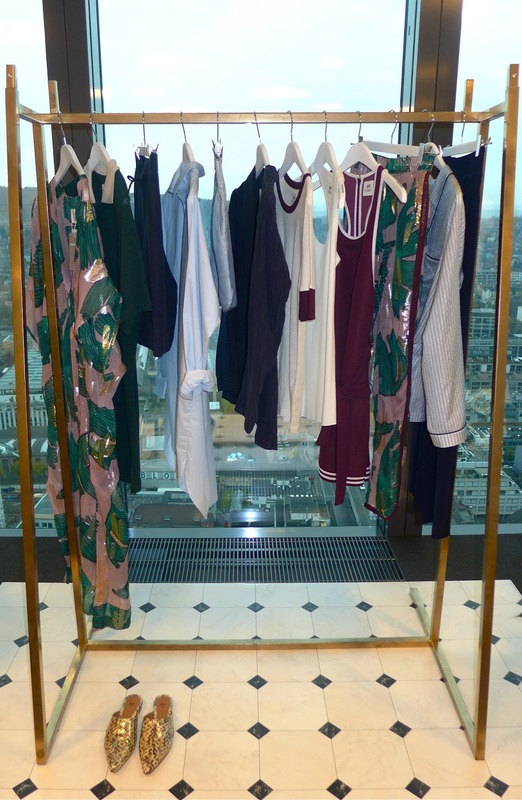 The collection is very urban and relaxed, inspired by the Miami / Palm Springs Lifestyle. The pieces are very comfortable and easy but still with a glamourous and stylish touch. 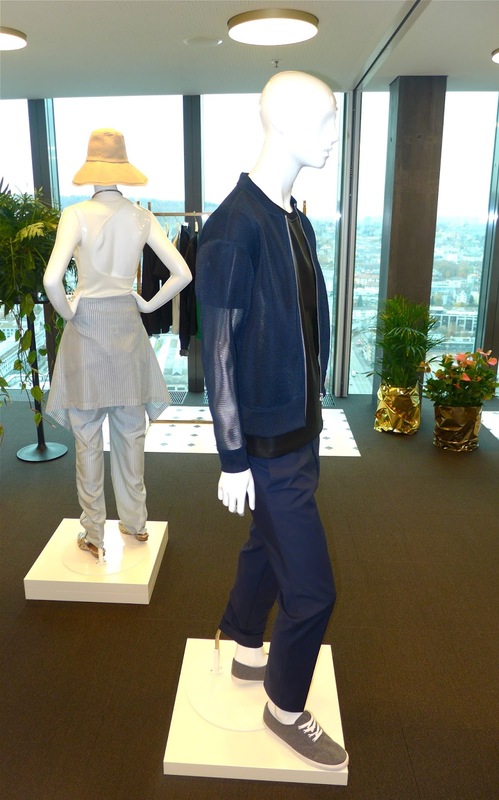 We like the sporty elements that can be found, in pants that look like sweat pants or sporty dresses. 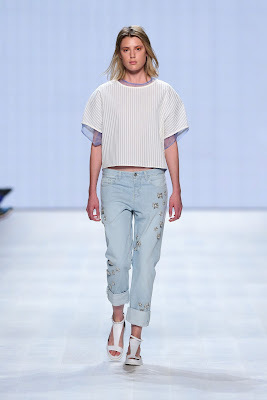 The pastel colours are very fashionable and can be perfectly combined with the denim pieces of the collection. The men's collection contains basic pieces in a new and nonchalant look and the colours are mainly black, shades of grey, white and apple green. We like the use of technical materials, such as the mesh, this jacket (4th picture) is also one of our favourite pieces of the men's collection. 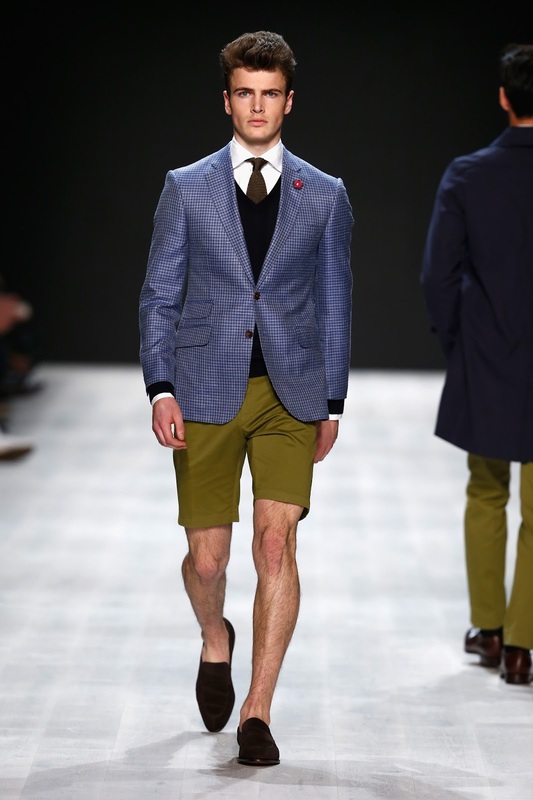 Some pieces of the men's collection can also be worn by women, which makes it even more versatile. The collection will be available from 12th March 2015 in 200 / (men's collection 150) selected stores worldwide. 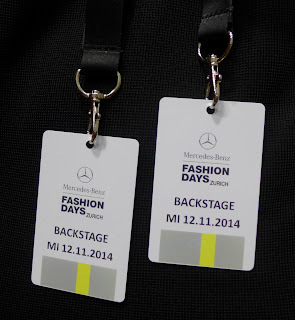 The Mercedes Benz Fashion Days in Zurich are over, and we are looking back on wonderful days full of brilliant designers, inspiring people and unique fashion. It was amazing to see once again, what fantastic designers Switzerland has to offer, who can definitely keep up with the great international designers! Tonight closed with the Swiss selection, presented by H&M. 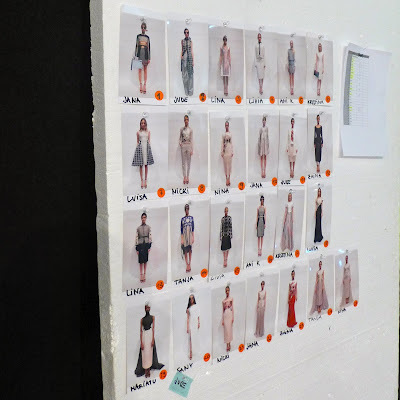 The designers were Berenik, Kazu, Laend Phuengkit, Pelikamo, RS Hader, Aziza Zina, Javier Reyes, LBD Little Black Dress, Stefanie Biggel and Van Bery. 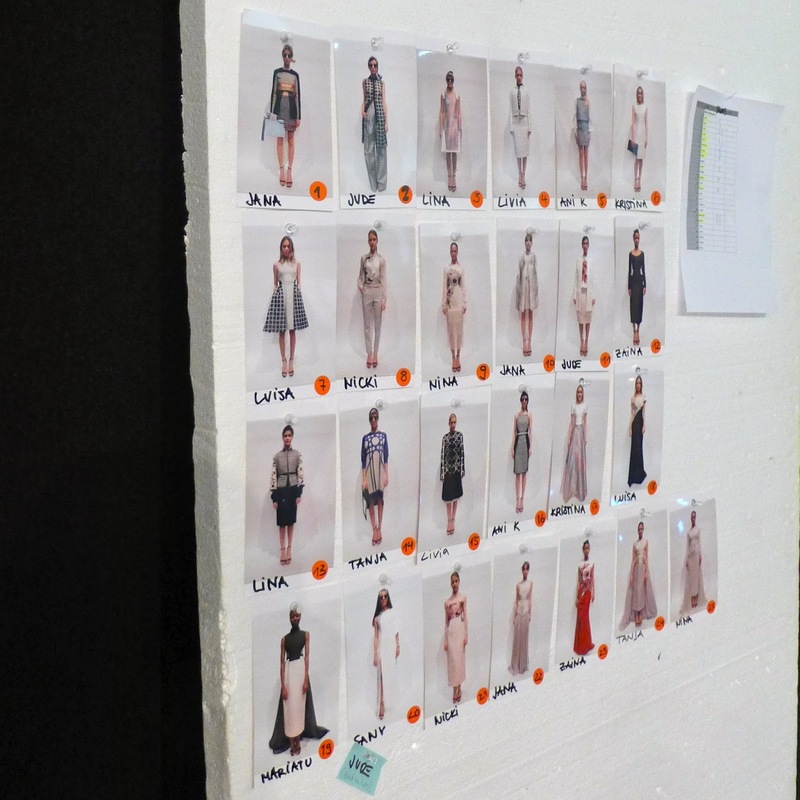 These are our favourite looks from todays shows and some impressions. This friday, the 14th November 2014, there is a special event – the movie night – at the Pathé cinema in Basel! The movie night starts at 6pm and ends the next morning at 6am with a delicious breakfast. With only one ticket, you can choose between 21 different movies during these 12 hours. We are looking forward to the movie night and we have already chosen which movies we want to go see. We think the movie night is a unique experience and the chance to go see several movies in one night at a reasonable price. The program still allows us to be spontaneous, because some of the movies even play more than once. For the complete list of movies and more information on the movie night, visit the Pathé website. We had a great night at the Movie Night in Basel! With the program (we already knew in advance), we were able to plan exactly which movies we want to see, and that way we could watch one movie after the other without big breaks in between. The movie night offered the perfect mix between new movies and old classics, so there is something for everyone. 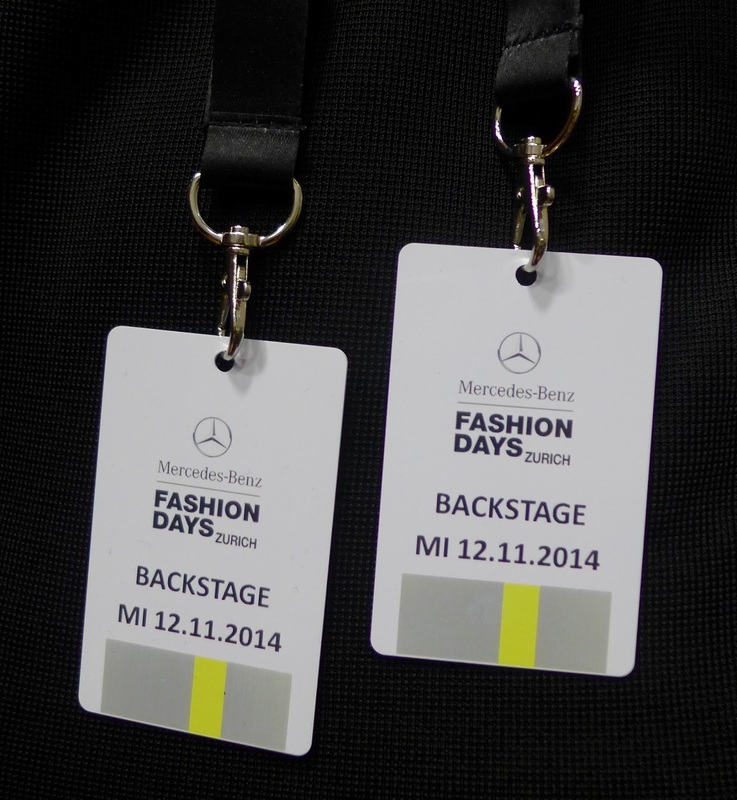 Today the Mercedes Benz Fashion Days 2014 in Zurich started and we were there! 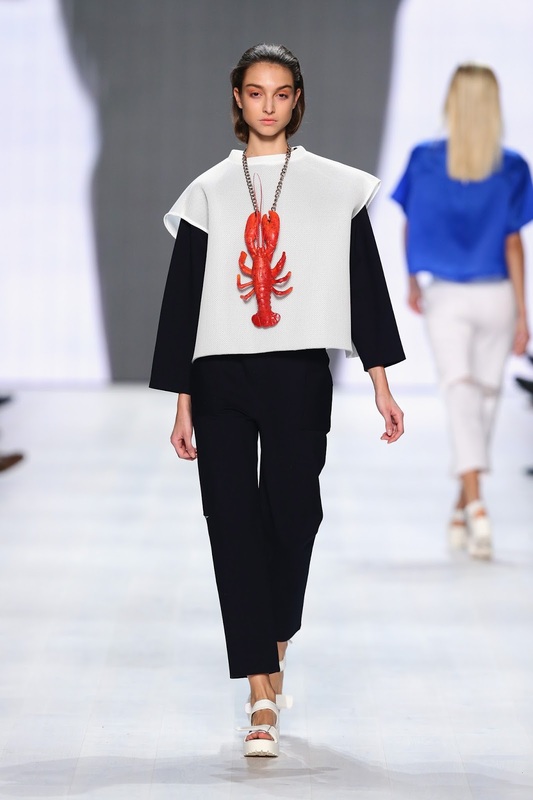 During four days, the Spring / Summer 2015 collections from national and international designers are going to be presented and you can see the latest fashion trends in an amazing atmosphere. 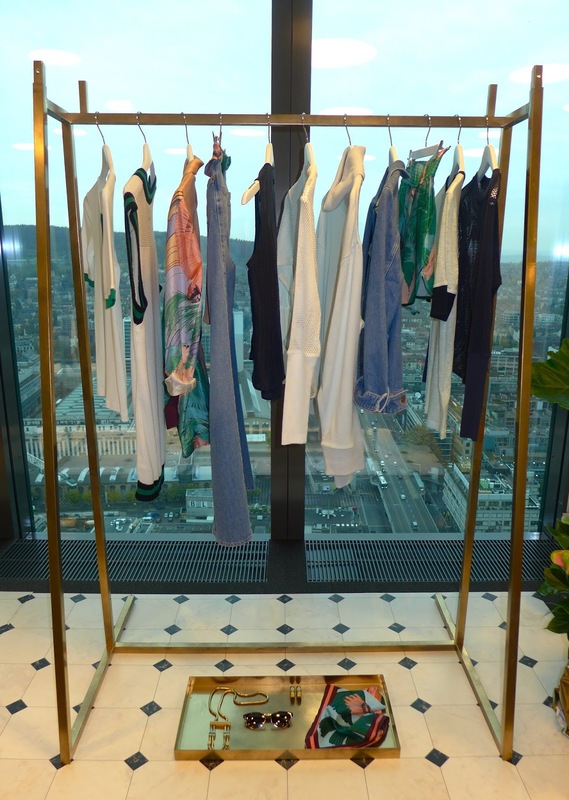 Tonight was the opening night of the Mercedes Benz Fashion Days in Zurich, with the fantastic collections of Max Mara, Bibhu Mohapatra, Julian Zigerli, Lala Berlin and Lug von Siga. Our favourite show was Lala Berlin, we think her fashion is extraordinary and all the pieces are very unique. Before the show we went backstage and got to look behind the scenes of the fashion show. 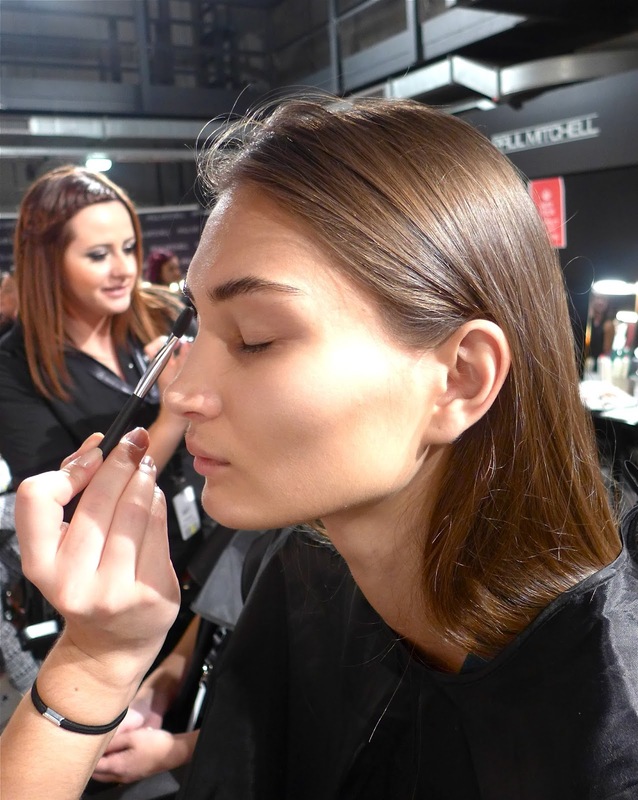 in 2015 the trend goes back to a more natural and neat but still well styled look. Women's hair look best when you wear it open, with a natural shine and a natural parting. The pastel colors will still remain as a trend in the next season. Something you have to say goodbye to is the ombré look, strong highlights and the undercut. Men's hairstyles are going to be more masculine, which means strong cuts and shorter hair with a more casual look. 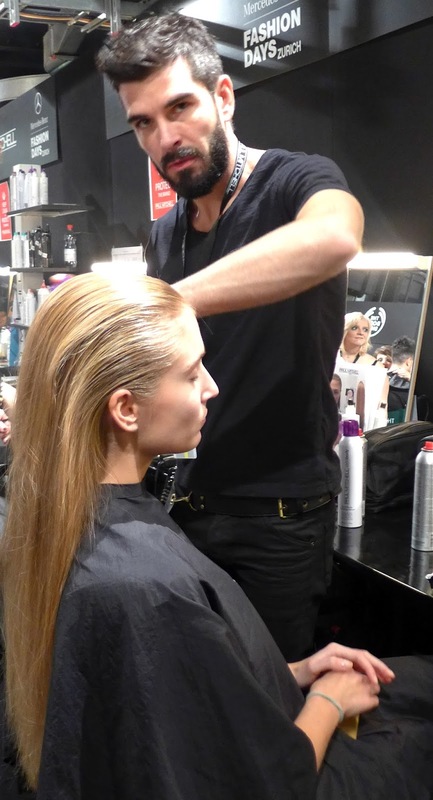 But she also told us, that the hair trends are strongly influenced by what happens around the world, and the different cultures, so we might still be surprised by some unexpected hairstyle-trends in 2015. Lala Berlin: The oversized Jeans jacket with the embellishments on the back and over the shoulders is one of our favourite pieces! Lala Berlin: The Shoes are very stylish with the slight plateau and the leather straps and we love the look with the rolled up ankle jeans! Bibhu Mohapatra: The wedding dress was breathtakingly beautiful with the sparkling details. Lug von Siga: This look has a glamourous underground chic we think is very fashionable. 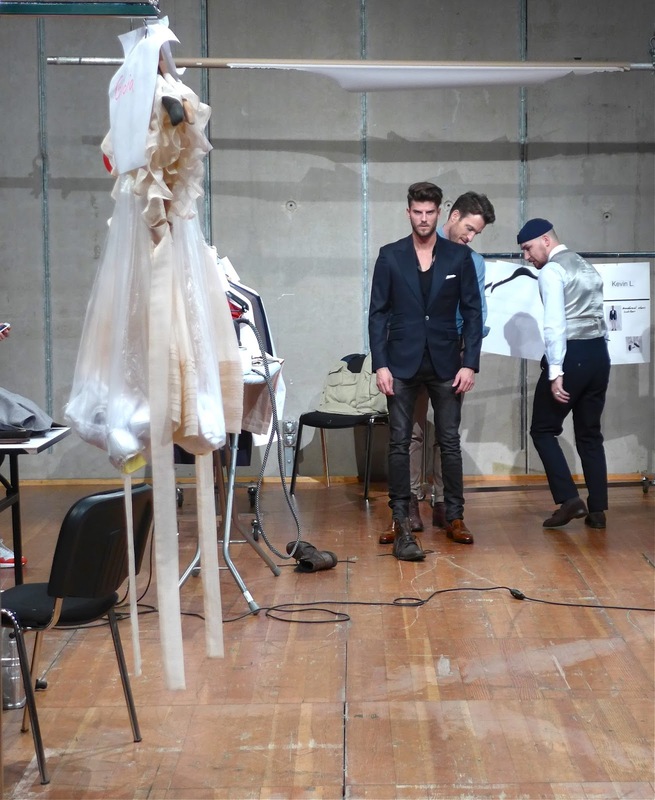 It was a fantastic night full of interesting people and magnificent fashion and we are looking forward to the next show! by Richard O' Briens in Basel. It was a fantastic experience, because we could really feel the ROCKY HORROR SHOW mood in the audience. Most of the visitors have already known the story before and with the fan-bag they were perfectly equipped to participate! The musical still plays in Basel until the 16th November 2014. The Xmas collection by Lindt's HELLO is deliciously tempting and beautifully combines the classic christmas elements with the modern HELLO look. 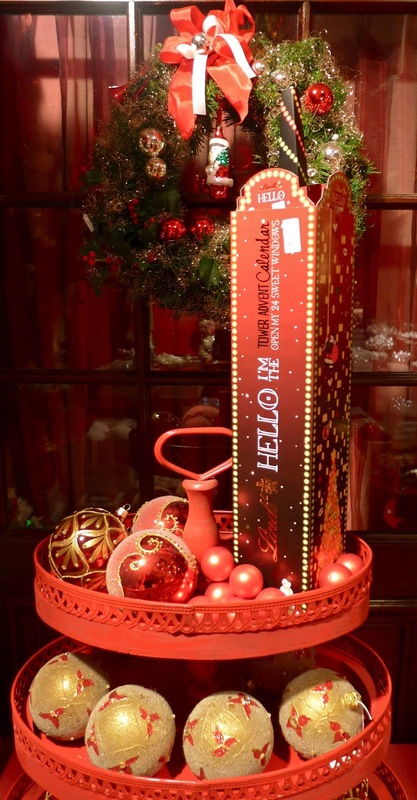 These are the Lindt HELLO Xmas 2014 products. The advent calendar has the shape of a skyscraper and is filled with delicious HELLO Lindt chocolate, to sweeten each day in December until christmas! We think the combination of modern architecture and the traditional advent calendar is very contemporary! This christmas tree shaped advent calendar is filled with 24 sweets and +1 extra surprise! 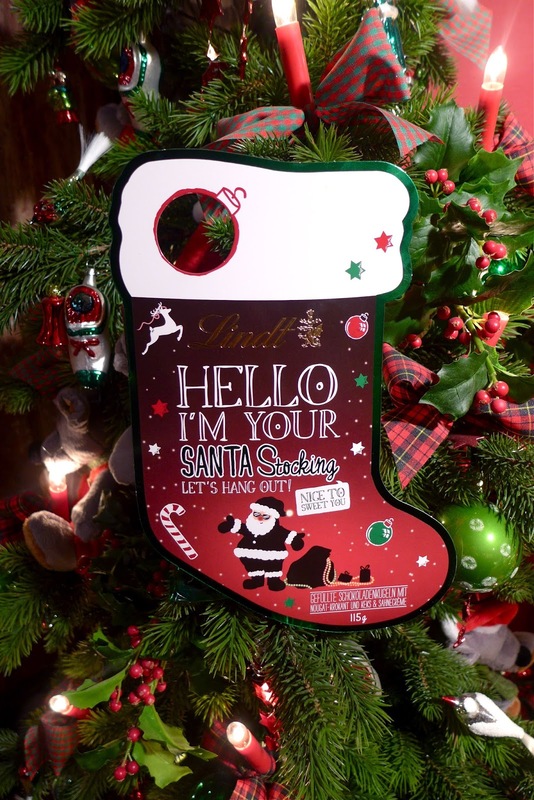 Lindt HELLO also offers an alternative to the classic christmas stocking, as this one is already full of sweet temptations and all you have to do, is hang it on a door to surprise someone! 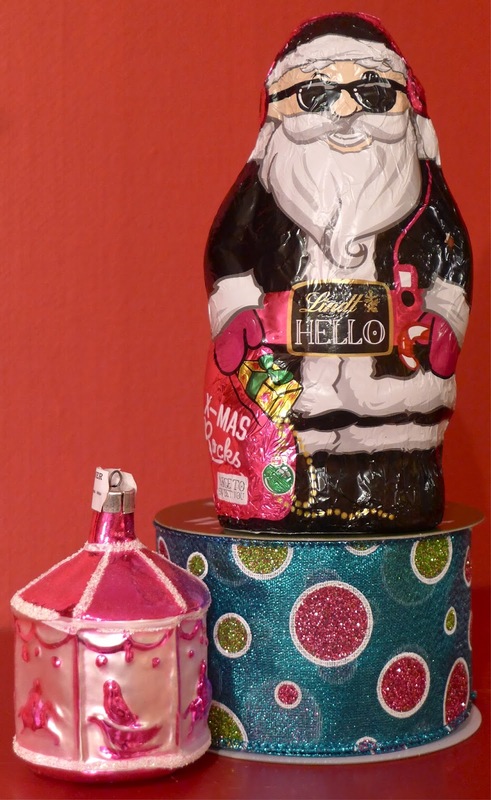 We love this modern chocolate Santa Clause with his black sunglasses! The design of the wrapping is so special that we think it's a pity to even unwrap it, so you can also use it perfectly as a decoration on your christmas table. The HELLO xmas cookies and cream are the perfect small present to a christmas dinner. They also look perfect on a christmas table, as every chocolate is beautifully wrapped in a golden packaging. We think that all of these products represent Christmas in their own way. 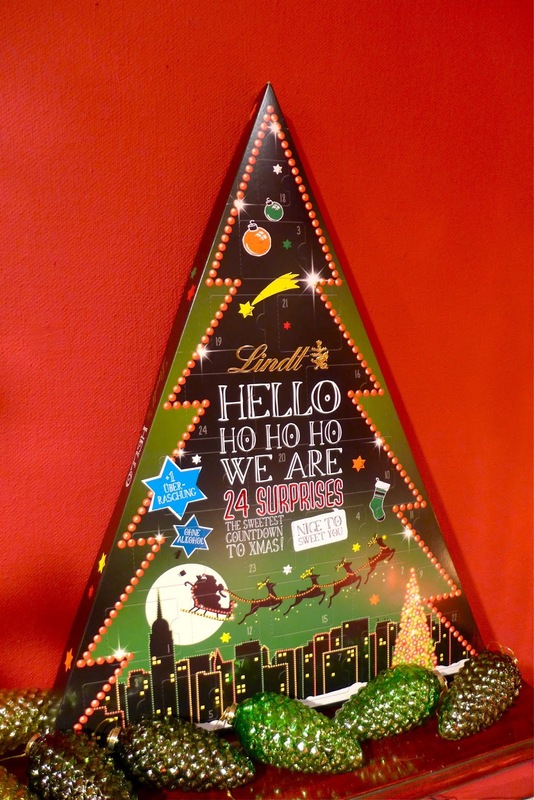 The Lindt HELLO Xmas chocolate is absolutely delicious and will sweeten up your advent season! For more information about Lindt HELLO Xmas 2014, or other HELLO products visit the official website! Thank you very much to Johann Wanner from JOHANN WANNER Christmas House, where we took our beautiful pictures! All the decorating objects you see on the pictures are from JOHANN WANNER. The JOHANN WANNER Christmas House is open during the whole year, and with the magnificent atmosphere and all the beautiful details it can even put you into christmas mood in the middle of June! We had the opportunity to go to the official Alexander Wang x H&M Presale! Even though we had already seen the collection before, it was very impressive to see it in the store. We love our Alexander Wang x H&M pieces!